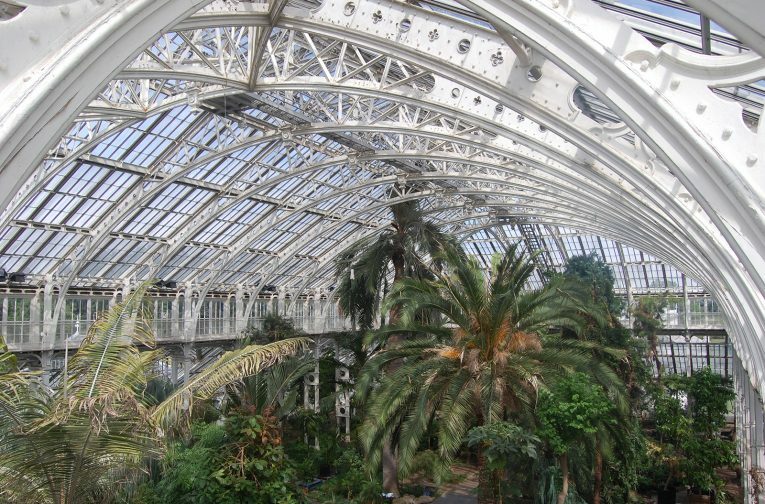 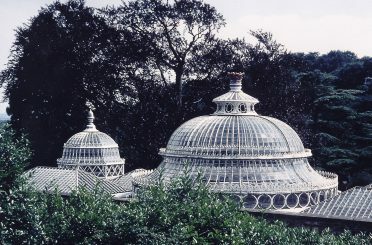 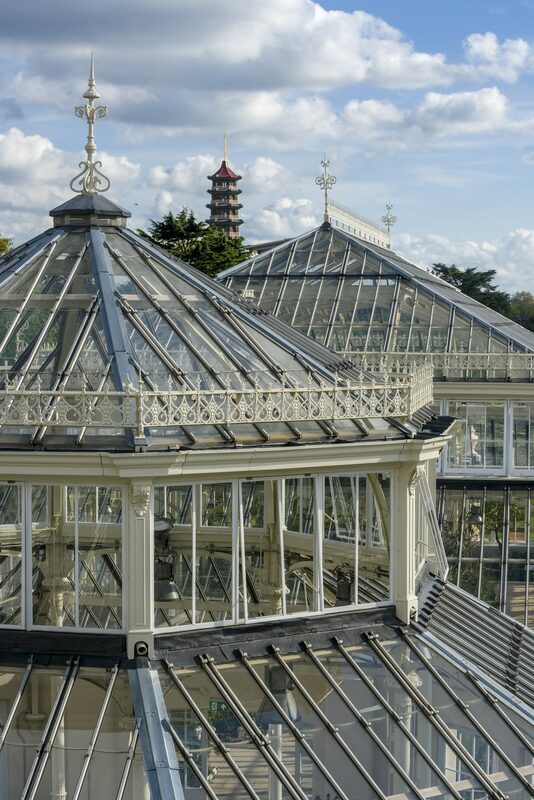 The Temperate House originally opened in 1863, having taken over 40 years to construct. 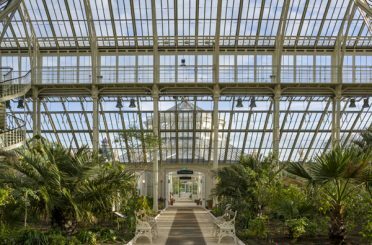 At 4,880 square metres and 19 metres in height, it is the world’s largest surviving Victorian glass structure, comprising five pavilions. 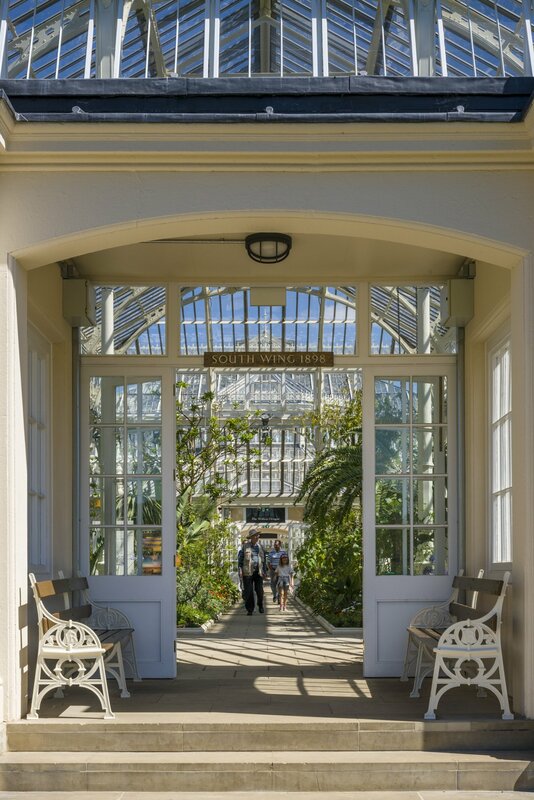 It was last renovated in the 1970s and required a comprehensive restoration, reinvigoration of visitor interpretation, and improved access. 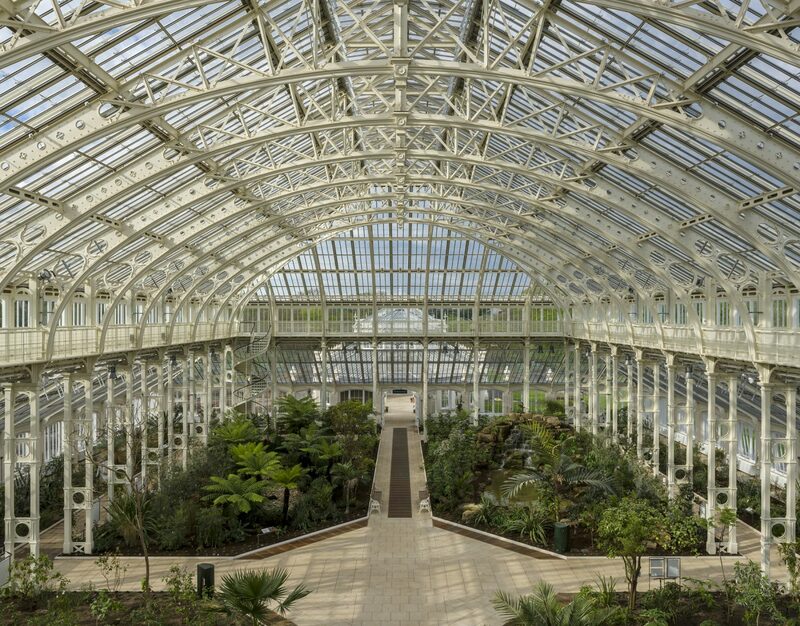 Royal Botanic Gardens, Kew also wished to take this opportunity to accommodate their growing events and educational and outreach activities. 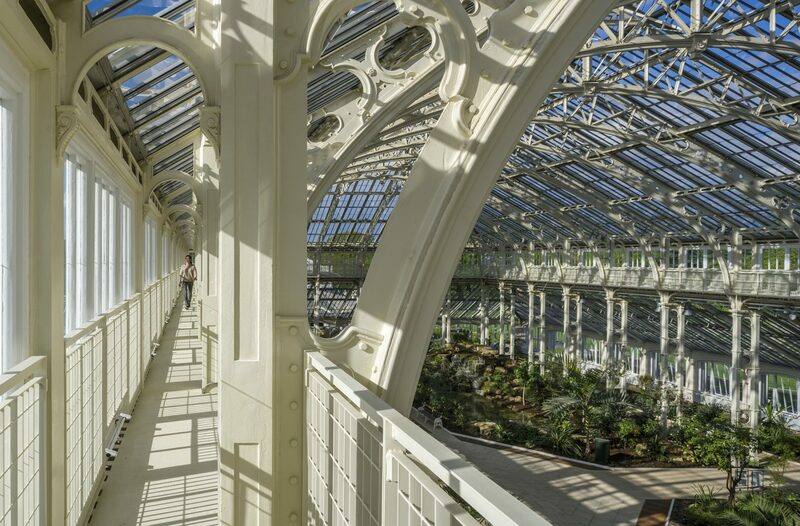 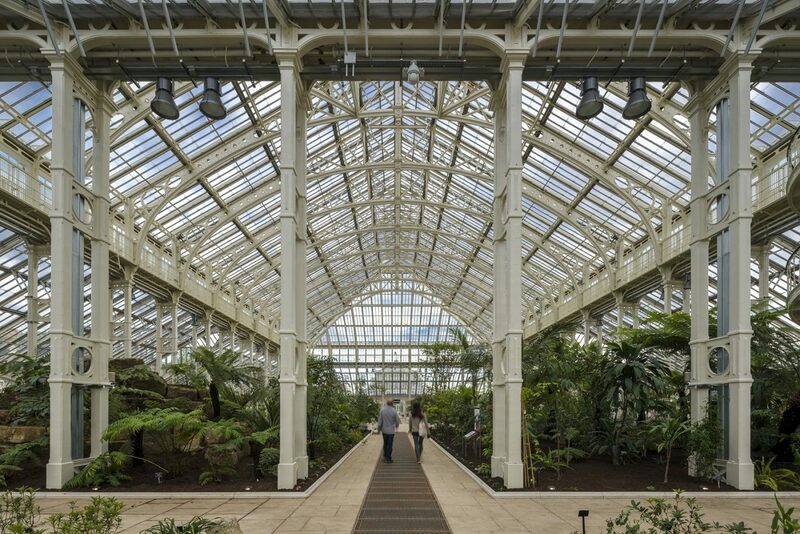 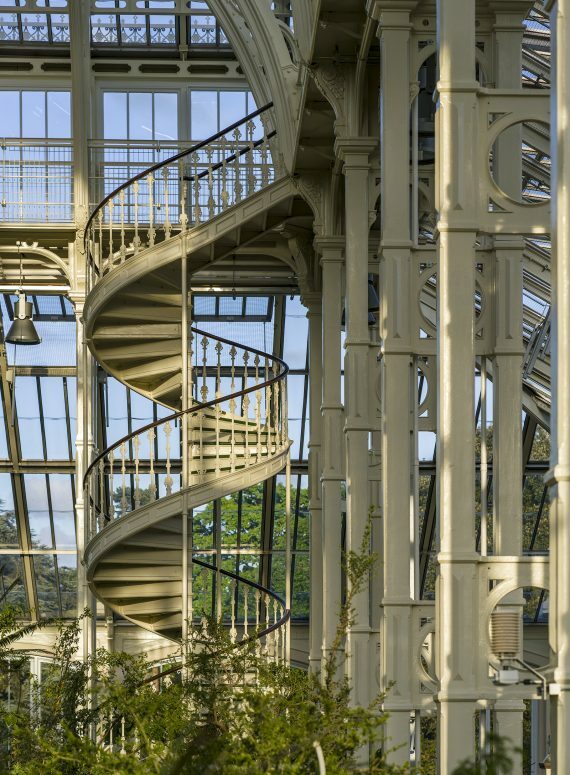 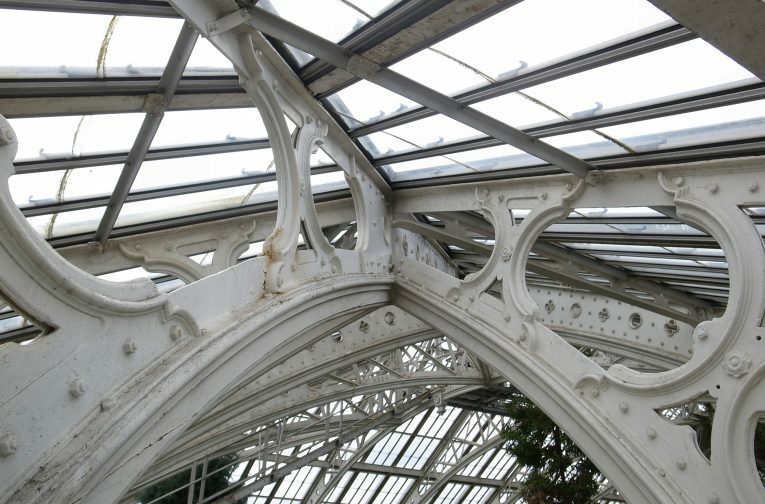 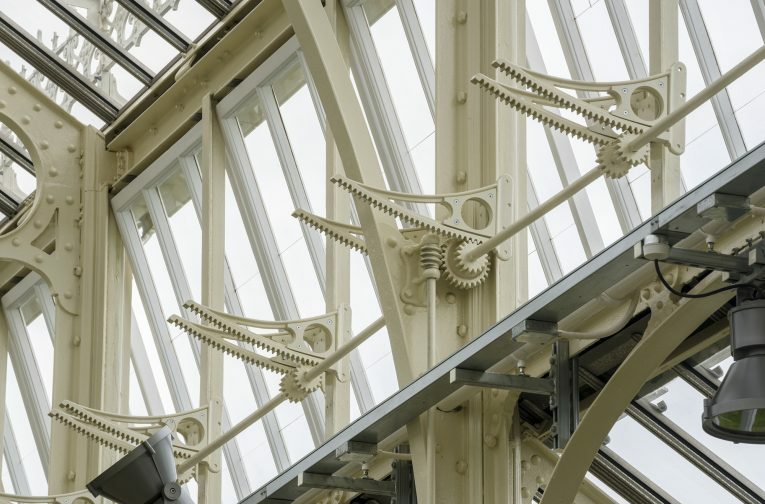 The five-year £41m project has fully restored Decimus Burton’s Grade I listed building, conserving the ironwork structure, fully renewing the building services and leaving the building with a secure, long-term, sustainable future as a horticultural glasshouse. 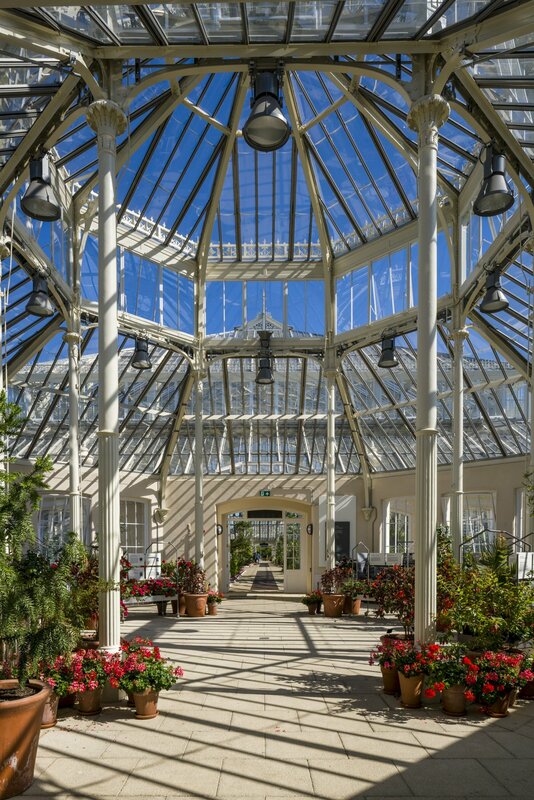 Internally, the opportunity has been taken to make provision for new activities, with a widened central activity to permit multifunctional use. 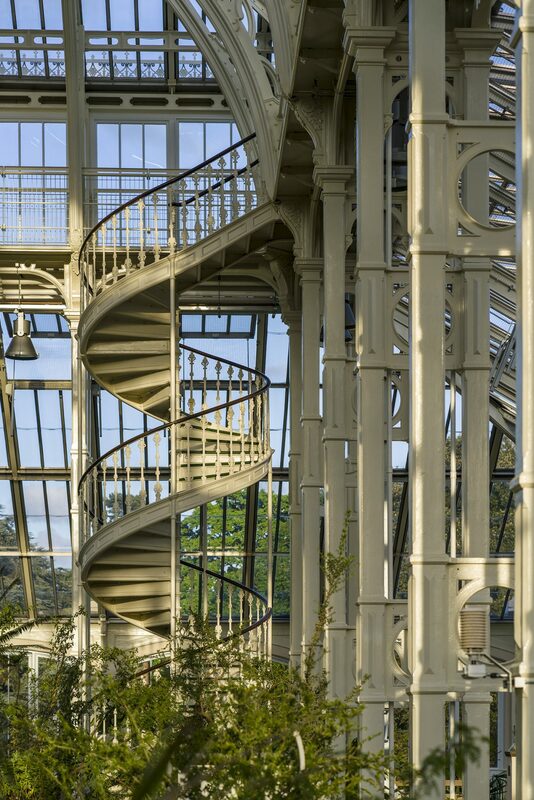 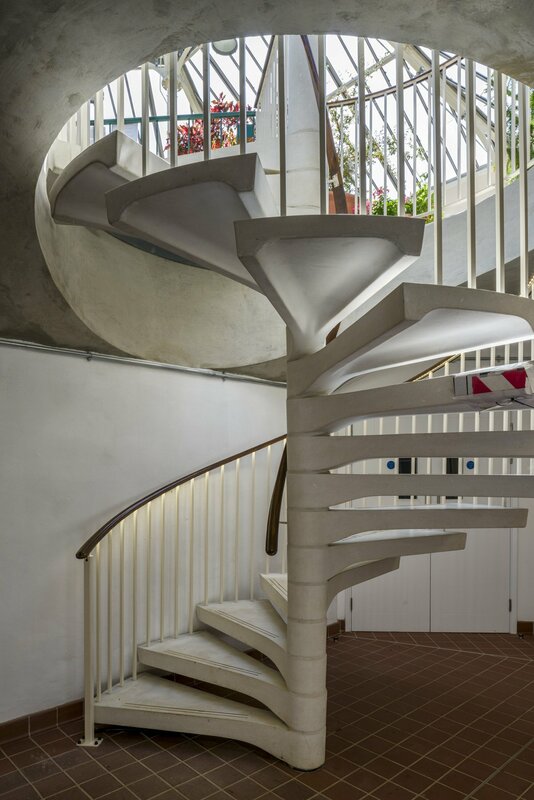 Support facilities for the horticultural staff and amenities are provided for the public in the South Octagon Basement, accessible from a newly designed circular staircase. 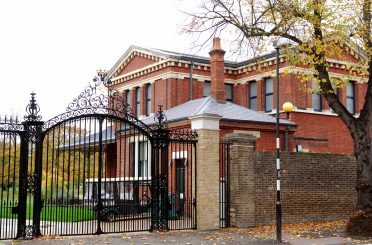 Further amenities, including accessible WCs and a small kitchenette to service private functions, have been added to Burton’s plan. 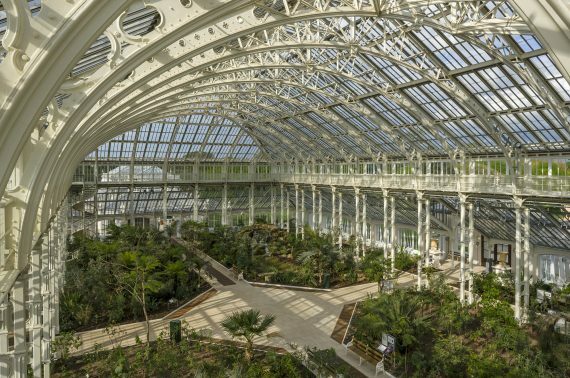 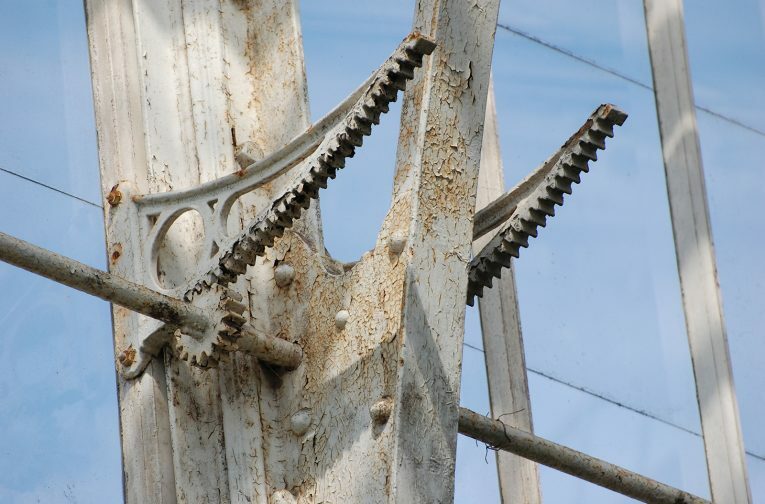 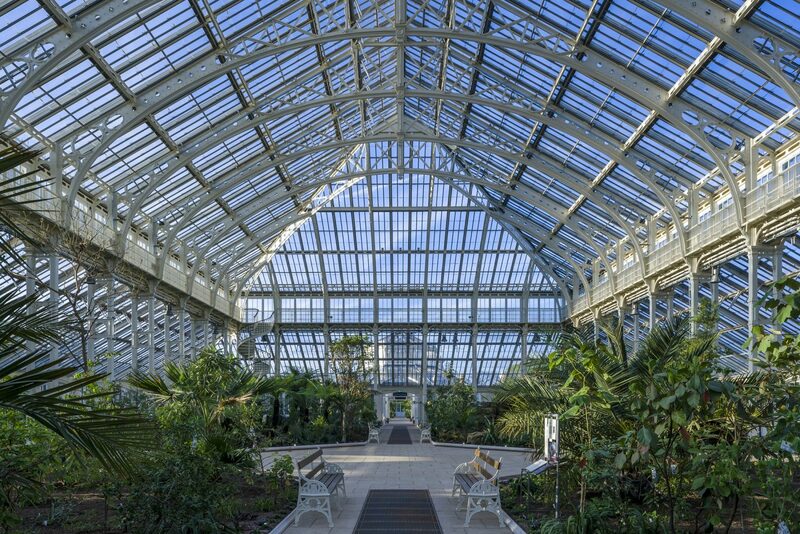 New materials and finishes were carefully selected to provide a long lifespan and ensure that RBG, Kew are able to maintain the Temperate House without onerous access arrangements. 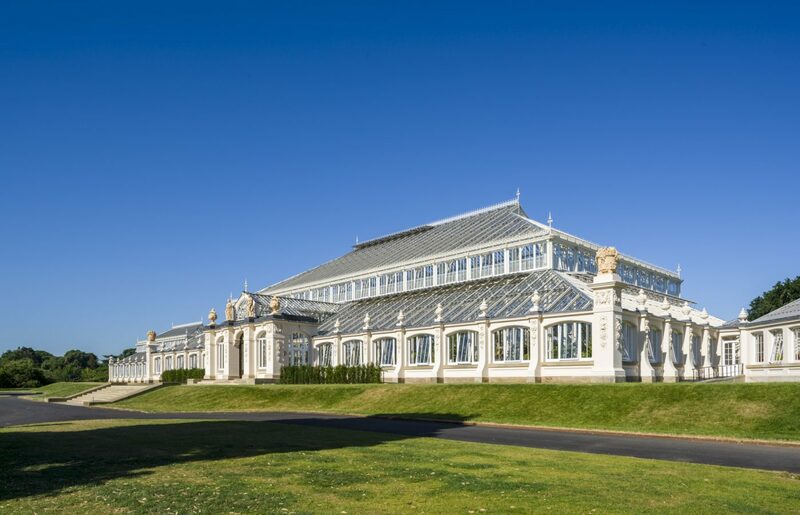 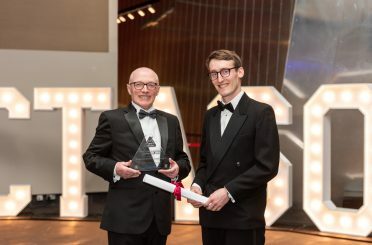 Renewal of the entire mechanical and electrical system as well as the introduction of a new biomass boiler resulted in a 25% reduction in RBG, Kew’s overall carbon footprint. 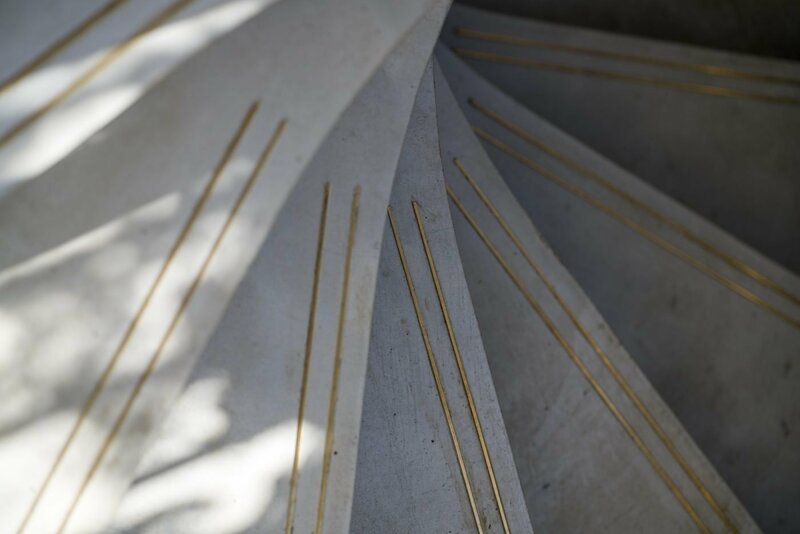 To enhance the setting of the collection, a new colour scheme has been introduced throughout and the original decorative sculpture and urns conserved. 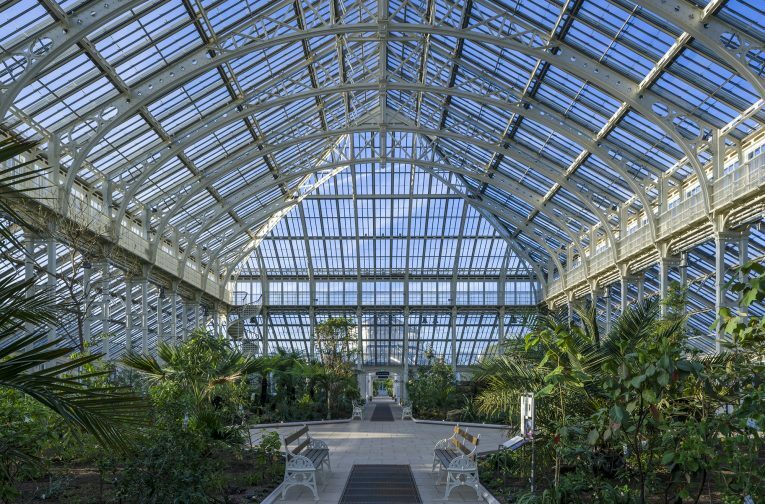 The Temperate House is a glistening cathedral where the new glass allows the sun to stream in and the ironwork has been restored to its glossy best. 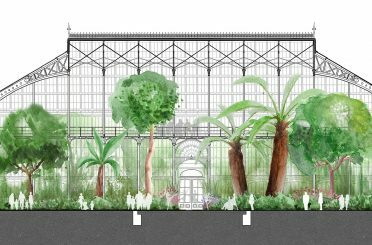 And I’m most excited that it is for everyone, from young to old, for budding gardeners or aspiring artists, for those making a pilgrimage from great distances, and for our local community, we hope every visitor will see plants in a new light. It is an impressive restoration job, and a reminder that Kew is home not just to rare plants but a unique collection of buildings - from the 18th-century pagoda to the modern steel structure of the Hive, to the little gem that is the Marianne North Gallery.